Adam Olsson is a very lucky guy. at the show. There was alot of people taking part in the competetion. 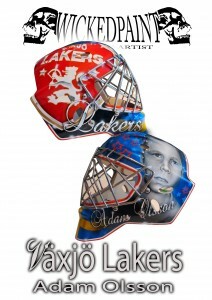 oppurtunity to make Adams dream mask. This is it….This is Joakim Lundströms new mask. 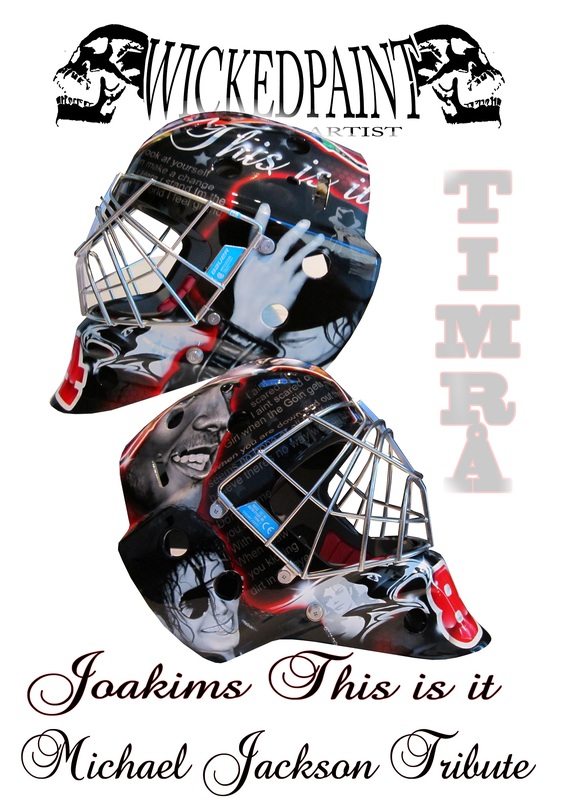 making this mask i like Michael Jackson so i had a blast. and some more graphic and lyrics from songs Joakim really likes. 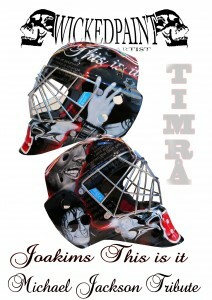 the possibilty to make more masks for Joakim and Timrå Ik. This new mask ive made for Christoffer Bengtsberg. 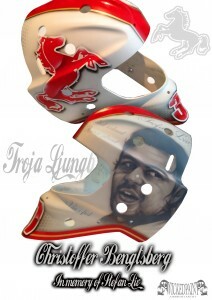 His new team Troja Ljungby Plays in the Swedish Allsvenska. and a In memory of the great Stefan Liv Theme, may he rest in piece. seeing it in action this season.